Featured in this post where they sent us their knuckles for some work. Read More Here: Fourwheeler.com. From the factory, the JK has a separate drag link and tie rod. 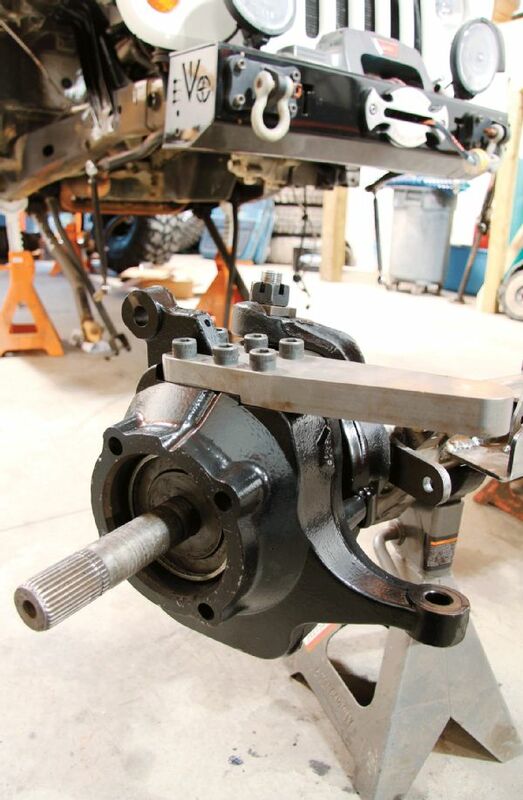 We wanted to mimic/improve this setup, so we sent out our Dana 60s passenger side steering knuckle to Weaver Fabrication in Redding, California. Weaver machines, drills, and taps six holes in the knuckle for the company’s high-steer arm to mount. Once we place the axle under the Jeep, we will drill out the arm in the appropriate spot and attach our custom drag link.